Normal aging is forgetting someone’s name. Alzheimer’s is forgetting your spouse’s name. The book may push the argument a bit too far and may be more provocative than some would like, but I do think that there are some very important messages in the book.Wearing my science historian hat I can talk about very many episodes where naming an apparent phenomenon led to reifying a mistaken idea, which misled people to waste a lot of effort before it was seen that the apparent phenomenon was a complex combination of phenomena not at all well represented by a singular name. One might argue that cancer researchers were misled for a long time as they imagined that cancer was a singular disease where a cause could be found and cured.Reification of "diseases" can mislead clinicians and researchers and can surely hurt diagnosed persons. An open conversation about the reality of any "disease" is certainly healthy and should be welcomed not quashed. We all need to do the work to understand all sides of this conversation.We too much encounter the question, "how do you feel about having a dread disease" rather than help for managing the challenges and for enjoying life. 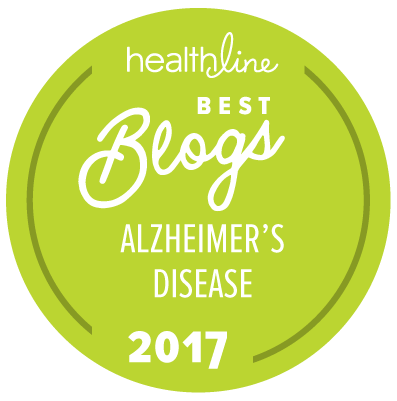 We, living with the challenges, have deep knowledge of the many ways the words "Alzheimer's disease" are profoundly harmful to diagnosed persons – and harmful to their health. There are ways to communicate diagnosis and prognosis which, rather than doing harm, lead to help managing existing and future challenges.Note, how "injury" and even "disability" are far less onerous. And, note how injuries and disabilities are seen as normal consequences of life, which we treat with respect as we help persons manage their challenges.It may turn out that all cases of "Alzheimer's disease" are caused by injuries and that genetic risk factors etc. are not causes but facilitators allowing post-injury repair to go haywire. I am new to this – my domestic partner was recently diagnosed with dementia. Having just read "The Myth of Alzheimer's", I have a different take. The authors are not nearly as cut-and-dried about these things as you make out. Whitehouse cautions about the various drugs available, but says basically that, while they may be useless for many or even harmful in some cases, in other cases they can be valuable. The authors advocate for checking with doctors and learning about cognitive loss; they in no way discourage getting medical advice and assistance. I found them to be nuanced and very aware of human variability. You, on the other hand, seem overly ready to accept drugs that should be looked at with caution. One of our local Alzheimer's Association people attended a recent expert presentation at which Alzheimer's drugs in general were given the following ratings: 25% helpful, 25% harmful, 50% neither harmful nor helpful. Considering the cost and the still unknown long-term effects of these drugs, that hardly justifies a blanket endorsement. In checking the two you mention with WebMD, Namenda got and average rating of moderate for effectiveness and satisfaction, while Aricept got low-to-moderate on both. By the way, I just learned about Still Alice (from checking out one of the resources listed by Whitehouse and George), and plan to read that also.